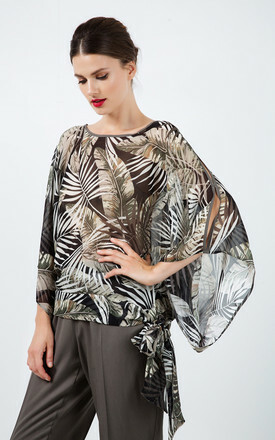 Summer top in woven print chiffon type fabric. 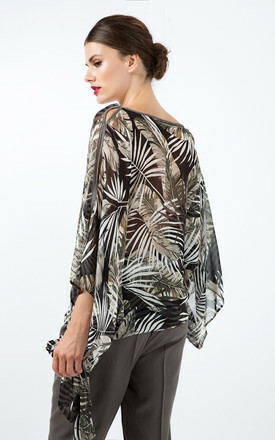 Rounded neckline with wide batwing style ¾ sleeves, 41 cm width at the cuffs. Above the shoulders there is an opening along the whole length of the sleeves joining at the neckline, in the middle of the sleeve and at the end. Contrast trim, 0.7cm, at the opening of the sleeve and at the neckline. Wide 8cm belt in the same fabric which ties at the side. 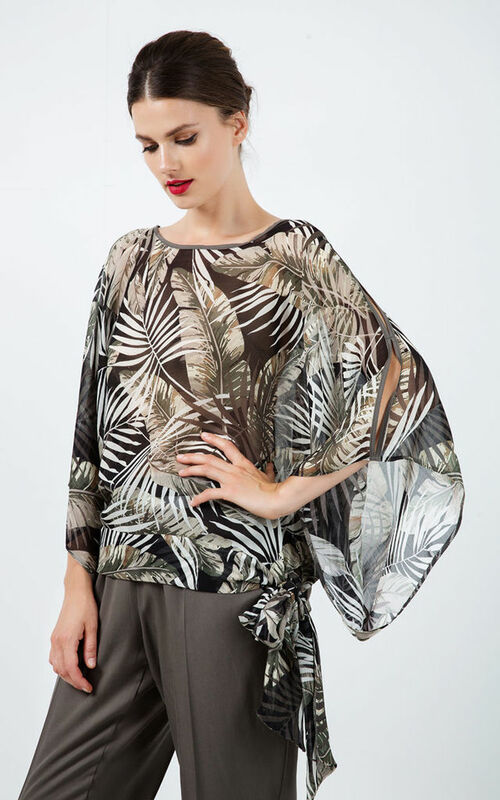 Our model has height 178 cm and wearing size 36. 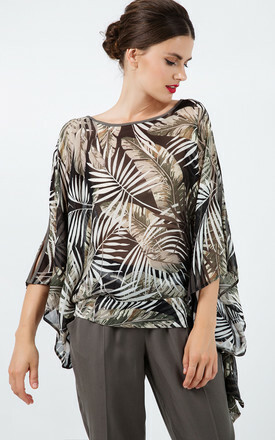 Measurements for size 38 (in cm):Body length-65; Waist-60; Shoulder width-45; Hemline-53; Sleeve length-40. Garment is oversized.